This evening, for the second time this year, I’m speaking on one of my favourite subjects: why the church/Christians ought to take social media seriously. If you’re London-based and churchy, you’re very welcome to come along – full details here. Back in January, I had two hours with the students of Westminster Theological Centre as part of their Christianity in Contemporary Culture module. The hours flew by, thanks to a large group of students who proved to be very happy to get involved in discussion, despite it being the final day of a week-long residential. I’d been concerned that 2 hours would be difficult to fill, but I had material left over! Thanks lovely WTC students! I’d meant to write up some of my work from that lecture here, but never quite got around to it. Tonight’s session provides an ideal opportunity to do so though, as in contrast to January’s gig, this is under half an hour on a topic which I’ve now proved I can speak on at length! This post also enables me to post a few things that tonight’s attendees may find helpful, but could also be handy for other readers too. 1. Whatever we might think about the negatives of social media – whatever it might be that prompts us not to get involved – we need to remember that at least it’s a choice that we get to make. Elsewhere in the world, that choice simply isn’t on the table, because social media or the resources needed to have it, does not exist. 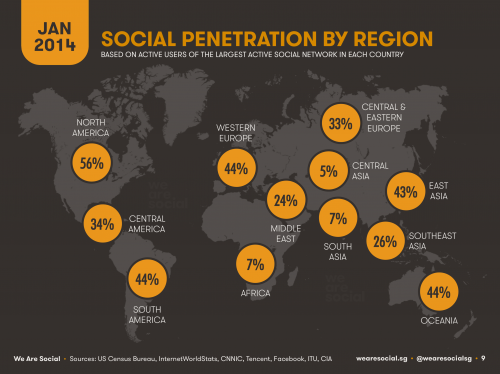 Only 22% of the world’s population are active social media users on mobiles. When we angst about social networks’ quirks, Ts&Cs and latest updates, it’s very much a #FirstWorldProblem. 3. 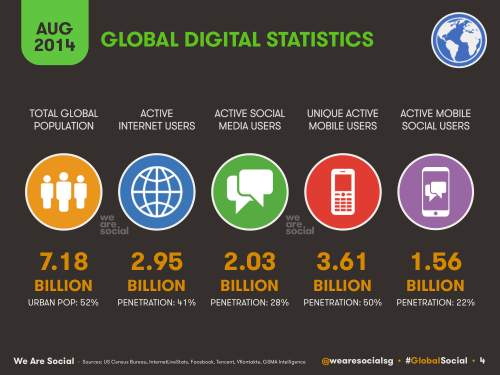 The vast array of reasons why people don’t use social media. This actually came out of a discussion at the start of the lecture. The group were diverse in age, background and profession (WTC students study theology part time), so I began by asking the group who used social media – generally and then on a mobile device – to see how they compared to the global stats. There was a surprising number who didn’t use it at all, and they weren’t all from the same demographic. I invited the room to share the reasons why they didn’t use it, or what might influence their use of it, and the results were fascinating. Obviously, issues of privacy and safety came up, as did trust. A few felt voyeuristic. Some thought that what is posted online is largely irrelevant – why do we need photos of cute cats? One example I particularly liked was a woman who said: “My daughter posted a photo of a cake. What am I meant to say about that? ?” I replied that I regularly use Twitter to get affirmation for my cooking from my mother! A “that looks lovely darling” goes a long way! One of my favourite discoveries was to do with the Pope’s Twitter account. His most popular tweet last year was “Christ is arisen! Alleluia!” his tweets are, on average, retweeted 6,400 times on his English (the @Pontifex) account. With 4.5 million followers, he’s actually very low in the rankings of most popular Tweeters – he’s not even in the top 100. All this is interesting (well, I think it is), but it’s not that useful in a practical sense. Tonight I’m encouraging people in London Diocese to use social media. For some, it may be a case of persuading them that it has any place in church life – or that the church should be in social media. 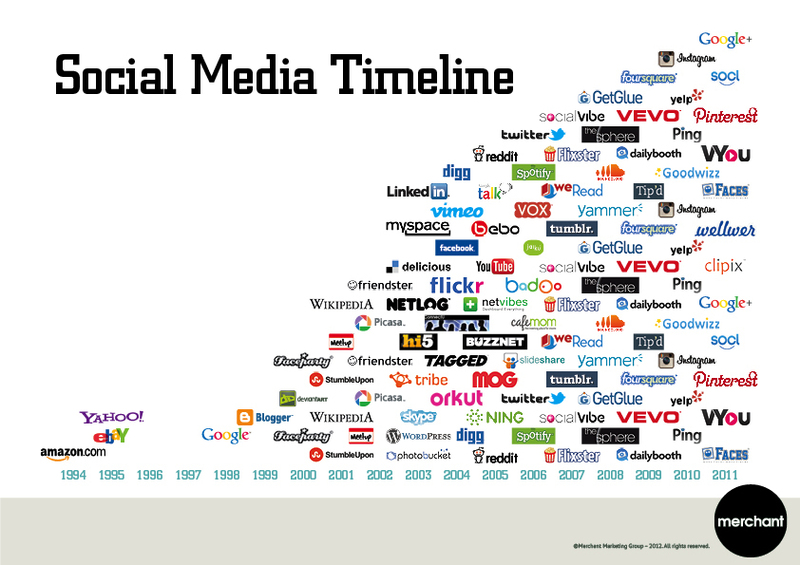 For others, it might be dispelling some of the fear that the media generates about social networks. My theological approach to social media. 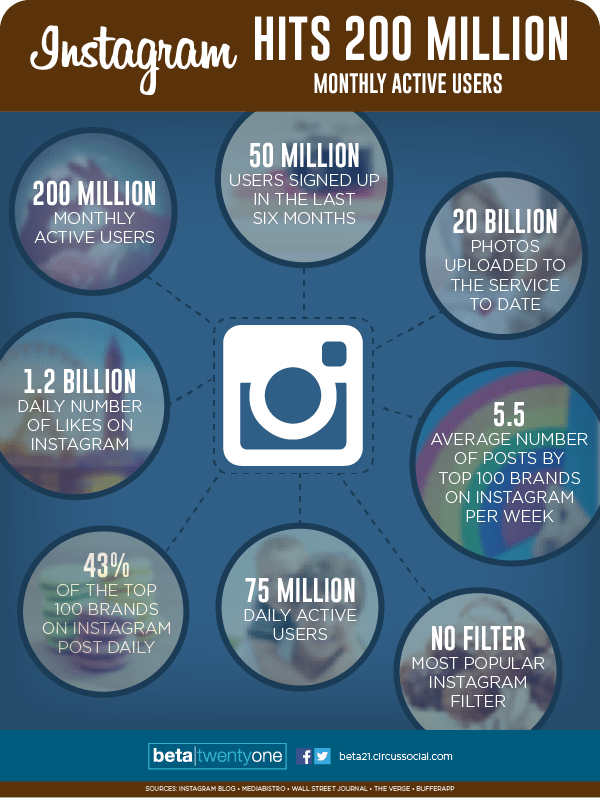 Making the most of your social media. How to use the @ properly on Twitter. And, as promised, here’s a list of social media resources that I first put together for the WTC lecture, but I’ve updated a little since. I don’t proclaim myself to be an expert (especially in comparison with many of the names on that list! ), but I do have a healthy interest in social media and want to help people use it as effectively as possible.